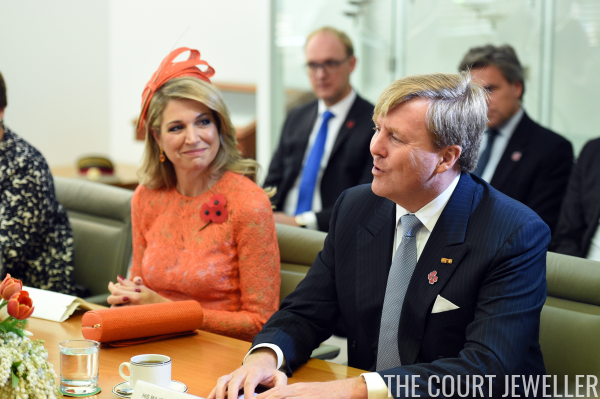 The Dutch state visit to Australia continued in Canberra on Wednesday, where King Willem-Alexander and Queen Maxima had tea at Parliament House and visited Australia's war memorial. 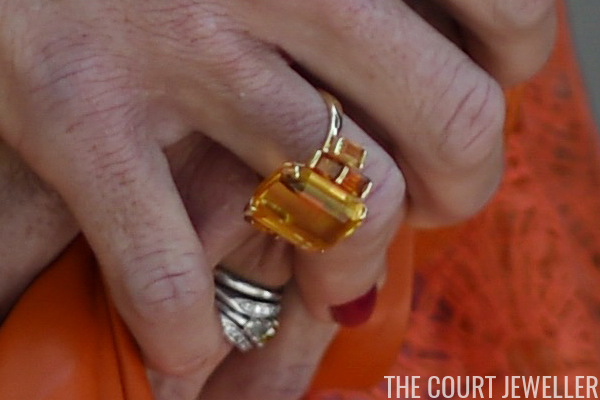 Maxima went full orange for the daytime engagements, in both dress and jewels. Above, you can see that she wore earrings set with yellow and orange gemstones. I'd wager that these are part of her collection of citrine jewels. 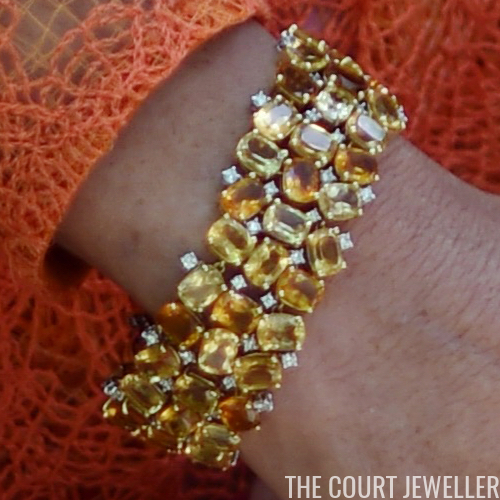 ...and an enormous cocktail ring, also set with various shades of orange gemstones. Very appropriate for the wife of the head of the House of Orange!